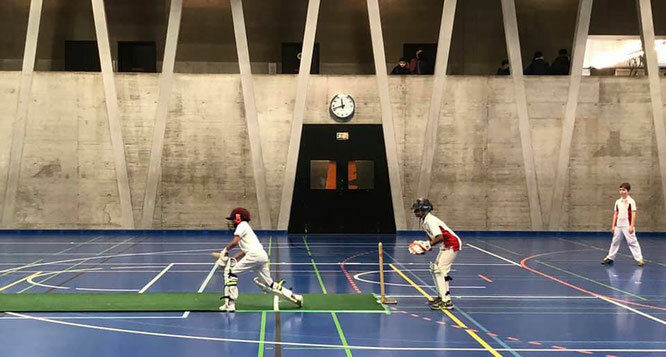 Basel Dragons Junior Cricket Club hosted their annual U11 Basel Indoor Tournament at Sportzentrum Pfaffenholz on Saturday 2nd & Sunday 3rd February 2019. 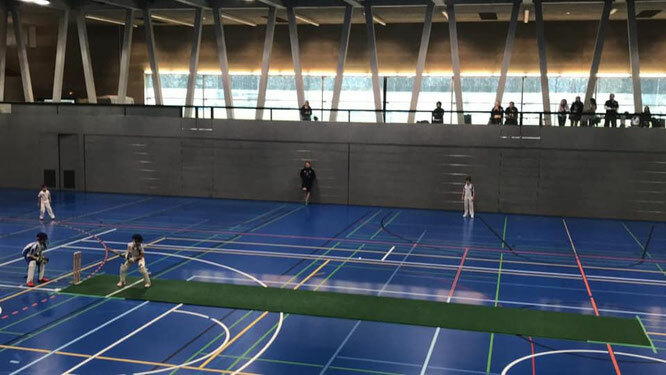 Three Swiss teams and 2 Luxembourg teams competed in the touranment with 12 of the 40 players playing in their first ever cricket match, and a number of U9s playing. It was a great weekend for cricket development. For the first time they played with dual bowling creases for U11s and U9s, which worked very well. This was also the first full electronically scored tournament too. Some great cricket was played over the weekend and best of all the spirit between the players from the various clubs was brilliant! The final lived up to what has become the norm in recent years with an extremely close final between Basel Dragons Junior CC and Zurich Crickets CC, with Zurich winning with three balls to spare in the last over. Note: A cricHQ account is required to view information stored in cricHQ, Cricket Switzerland's online scoring partner. Get your FREE cricHQ account. ZCCC website - The unbeaten Zurich Crickets Under 11 team lifts the Basel Indoor trophy! BDJCC Facebook Group - Report on the U11 indoor tiurnament at Pfaffenholz.